Limiting downtime and optimizing the network of your new location or upgrading your existing one. At Techworks Consulting, we understand business. We consult. We provide solutions to solve everyday challenges. We just happen to fix computers as well. Do you have questions about our IT solutions and what they can do for your company? Fill out this simple form with your questions and our team respond promptly! Techworks came to my rescue! Techworks came to my rescue! I needed to get all my computers back up and working in order to carry on my small business. I would definitely recommend them to any company! Got a problem, need professional help, call Techworks! Techworks has been fantastic to work with. Responsive, professional, sense of humor when needed! I am very pleased with how they communicate and solve IT challenges. First class act! Your engineer was excellent in helping me resolve an outstanding issue at one of our remote sites. He was extremely knowledgeable, and very courteous and polite as we worked to resolve the issue. Every time I work with Techworks, I receive top-notch service, and I have always been satisfied with the outcome. I wish working with all my other vendors and consultants was as easy. Techworks managed our migration to Office 365 without disrupting our workflow. They were professional and consultative in their approach -- offering suggestions for process improvement along the way. I highly recommend them to other local Long Island small businesses who are growing and need new technology solutions for their businesses. Quick response; problem solved. Life should always be so easy. Thanks. Always courteous, efficient and get the job done in a timely manner. YouTube is great for both researching and presenting subjects, and with its built-in features, you can get more productivity out of it. Keyboard shortcuts are the best first step to take. You can jump to the beginning of a video by pressing the zero key. You can also use the arrow keys to fast forward or rewind a video as needed. The default is five seconds, but by holding down the Ctrl key, you can increase this to ten second skips. 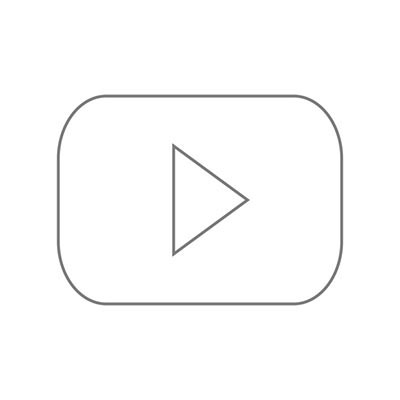 If you’re using YouTube for a presentation, you can pause and resume the video by hitting the spacebar or the K key. You can use the up and down keys to adjust the volume, as well. The M key will mute or unmute the video. You can alter a link to a YouTube video to start at a specific point. The easiest way to do this is to just grab it from the video on YouTube. For example, check out this video about phishing. Under the Share option, you will see the Start at option. This gives you the ability to select a specific part of the video to start it at. The link will ultimately look something like this for around the one-minute mark. If you’re not finding the right content you’re looking for, you can use filters to customize your results based on specific criteria, including channels/playlists, specific durations, and other types of media. YouTube is a great resource for many businesses. What are other ways you might use YouTube? Let us know in the comments. For many small businesses, the difference between the various types of technology management might seem trivial, but the reality is that they can be budget-breaking when mismanaged. Take break-fix IT management; it worked for businesses in the past, but how much did it really help? After all, the entire premise of break-fix IT management relies on the breaking and fixing of technology, when in reality the goal should be to prevent the breaking from happening in the first place. This is why managed IT is such a valuable investment. It actively prevents IT issues from hampering your business’ operations, meaning that downtime doesn’t become a problem. In a way, managed IT takes your organization’s capital expenses related to technology and transforms them into operational expenses, saving you lots of time and money that can be spent elsewhere. However, you don’t want to implement just any managed IT provider. You want to work with only one who can answer the following questions in adequate detail. Does this provider help my business become more competitive? Can this provider help my business leverage technology more quickly? How does this managed service provider help my business utilize the cloud? How transparent is this managed service provider? How can your investment in managed IT free up funds that are better spent elsewhere? How quickly can the provider respond to new industry trends and ideas? Not sure how to approach managed IT? Techworks Consulting might be able to help. 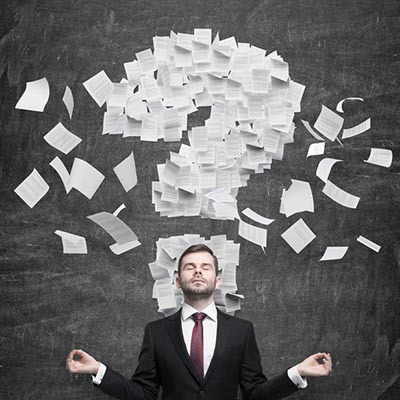 Ask us these questions yourself and see what we can offer your business. To learn more, reach out to us at 631-285-1527. 5G itself is largely being used as a selling point or marketing strategy early this year. However, as the year progresses, keep an eye out for the first actual 5G networks, as well as the devices that run on them. 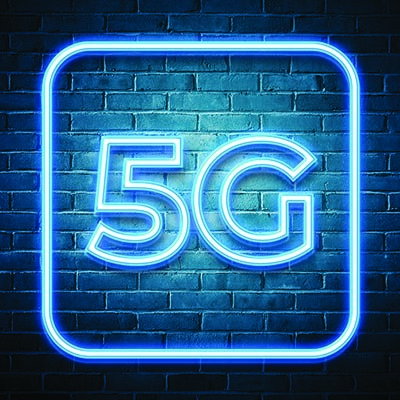 It’s worth remembering, however, that 5G is still an emerging technology, so while we might see the first of these new networks, the bulk will be the same networks that you have come to know over the past decade. 4G first hit in December 2009, but it took the United States until June of 2010 for the first 4G LTE network to become accessible. 3G networks were processing somewhere between 200Kbps to 5Mbps/second but compared to 4G’s 100Mbps-to-1Gbps speeds, the former was child’s play. Cloud computing and media streaming became commonplace, and a massive market for mobile applications and devices that utilized them was pushed to the forefront of mobile computing. Just like with 4G, 5G will provide a dramatic increase in bandwidth speed, while also reducing latency and providing an entire new layer of application support. It will bring wireless Internet speeds to astounding levels--up to 100Gbps, nearly 1,000 times faster than current 4G speeds. Streaming will work almost seamlessly, and application developers will have more capabilities to work with, pushing innovation forward. A solid 5G connection could enable users to download a full movie in a couple of seconds! It’s noteworthy that there is no Apple device or European version. The only phone on the devices listed above that will be available in the United States by the 5G launch window is the Galaxy s10. However, Verizon’s 5G mod for the Moto z3 will be available for $50, and the retail price will remain at $349.99 if it’s not purchased during Verizon’s promotional period. As a consumer, it’s your responsibility to determine how and when to upgrade to a 5G network. Let Techworks Consulting explain what your options are so you can go in on this technology with as clear a head as possible. To learn more, reach out to us at 631-285-1527. Know someone who would benefit from Techworks Consulting? Let us know!